With our recent re-branding, we decided to put our money where our mouth was. There are so many opportunities that businesses fail to take advantage of to get the word out about what they do. And one of those places is envelopes. Sure invoices can go out in plain window envelopes with a perfunctory return address. They will get the job done – your customer will receive the invoice and (hopefully) pay it. But what a lost opportunity to let them know about things you do they might not know about or might need a reminder about. Since you are paying for the postage regardless, one option is to put an advertising insert in the envelope. But what about the envelope itself?! All of that pristine white paper just calling out to be used. The white canvas that will be seen by the postal carrier, the person sorting the mail at the business, the person they show because it is so cool and different, the intended recipient…and who knows who else. And that’s what we did. 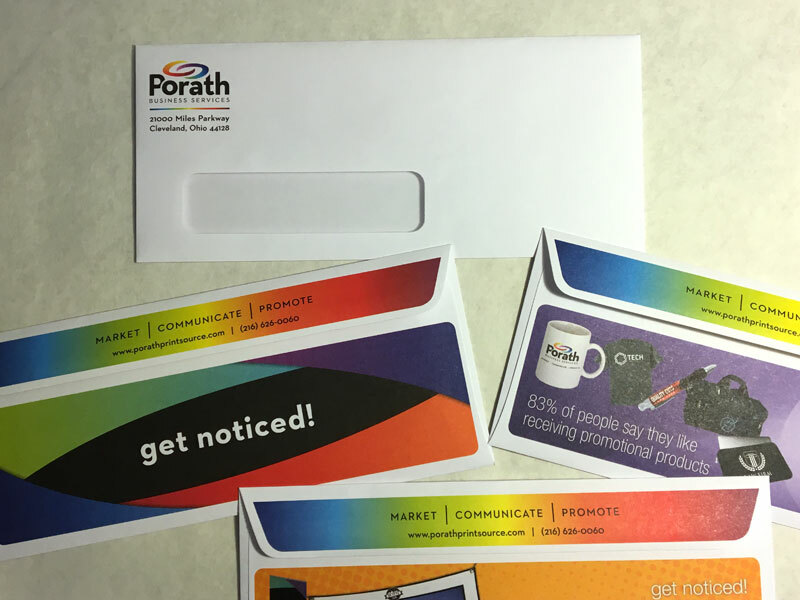 We highlighted a few of the things we wanted out customers to be aware of – things they might say ‘I didn’t know you did that!’ – and we used the canvas of the back of the envelope to give a shout out about different products we think our customers might be interested in knowing about. What about you? What could you be shouting out to the world on your envelopes? This entry was posted in Concept, Design, Donate My Share, fundraising, Marketing, Print, solutions, Tab Talker and tagged attractive graphic design, brainstorming, branding, Marketing, marketing materials, out of the box, problem solving, solutions. Bookmark the permalink.